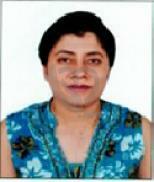 Dr. Vimmy Mody, MBBS, MD (Skin & VD) is a Consultant – Dermatology & Venereology at Inscol Hospital, Chandigarh. Dr. Vimmy Mody graduated & pursued MD (Skin & VD ) from Govt. Medical College, Amritsar in the year 1996. She, then, worked as a Senior Resident at Sri Guru Ramdass Institute of Medical Science & Research, Amritsar. Dr. Vimmy Mody served as a Consultant - Dermatology in renowned hospitals across India, one of them being National Skin & Hair Care Centre, Chennai. Having spent more than 15 years in the field of Dermatology & Cosmetology, Dr. Vimmy is vastly exposed to & experienced at performing the entire spectrum of Dermatological procedures and has hands on experience of managing patients with varied cosmetological problems. ***I noticed a dark brown scar on my face then I Googled how to get rid of it.I tried many treatments, appllied creams, gels, face washes ETC, but I found no results. then I got to know about Dr. Vimmy Modi's reference through my friend Surjit Katwal. When I met her, she made me very comfortable and looked up and listened my problem thoroughly, now I am getting my treatment from her and got good results. I highly Recommend her to every one who are suffering from any kind of skin problems.